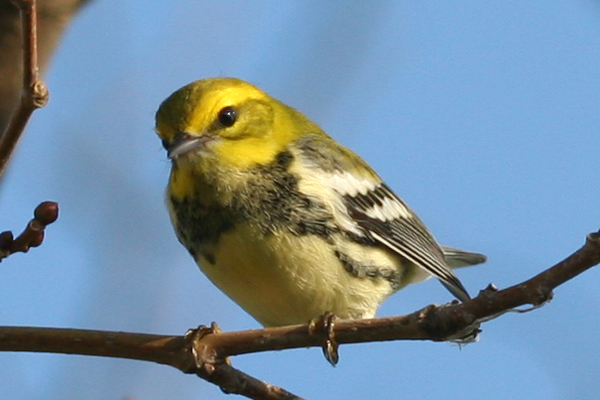 New York City offers the best wood-warbler watching of any city in the United States or Canada. Sure, Chicago has a magic hedge, Boston has a cemetery, and other cities must, on occasion, attract some Parulidae, but none can even compare to the marvel that is migration in The Big Apple. Attention is often and rightly focused on Central Park in Manhattan but it is the foolish birder who focuses entirely on just one park or borough. Brooklyn’s Prospect Park is a great spot for wood-warbler migration, as are Alley Pond Park and Forest Park in Queens, Van Cortlandt Park in the Bronx, Cloves Lake Park and Conference House Park in Staten Island, and, in addition to Central Park, Inwood Hill Park and Riverside Park in Manhattan. 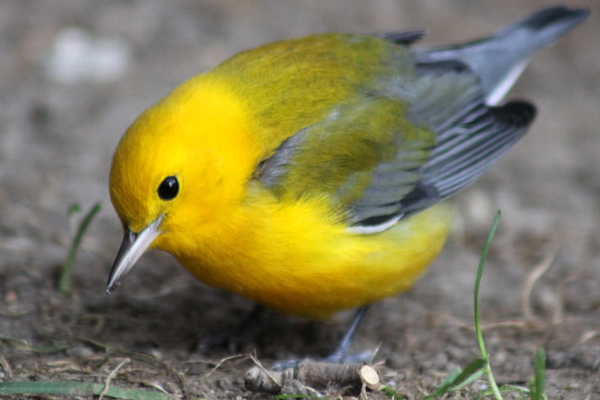 Breeding grounds for a host of great species including Cerulean Warbler, Golden-winged Warbler, and Hooded Warbler are a short drive outside of the city limits and well worth a day trip. In the city itself over thirty species of wood-warbler can be seen in a single season of dedicated wood-warbler watching and days or even mornings of over twenty species are not unusual. So how, where, and when should one watch wood-warblers in the most wonderful metropolis in the world? Read on, dear reader, and be prepared for your visit to the finest five boroughs in the land. In spring there are several strategies that will serve the wood-warbler watcher well, the easiest of which is to take one’s time getting up and make one’s way to a reliable water source. Like people, wood-warblers must bathe and drink so watching them during their ablutions or while hydrating is a sure-fire way to get good looks. Tanner Spring in Central Park, which is on the west side of the park near the Diana Ross Playground and the 81st Street / American Museum of Natural History entrance to the park is great and so is the “drip” in Riverside Park at 118th Street, just south of the tennis courts. The “waterhole” in Queens’ Forest Park is another great spot for lazy birders and is located near Metropolitan Avenue and Forest Park Drive. All three locations are best birded by lazing around while the birds come in to the water. Some birders have even been known to bring lawn chairs. Not a bad idea, right? Of course, most birders prefer slightly more active wood-warblering. Prospect Park in Brooklyn is a great place to get some exercise hustling from the Vale of Cashmere to the Peninsula to Lookout Hill as different reports make their way through the birding grapevine. Central Park can seem hundreds of miles long when you are in the North Woods and hear of a rarity in the Ramble. And if you have the energy to hike up into Inwood Hill Park you can see many wood-warblers feeding in treetops at eye-level thanks to the steep slopes. 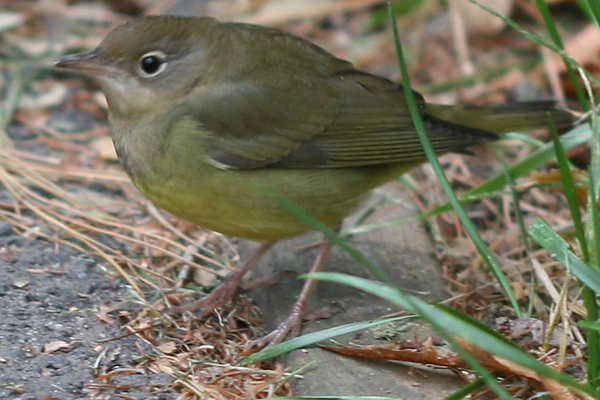 A strategy for the wood-warbler watcher who wants to capitalize on the hard work of others is to follow any of the three email listservs that cover New York City that are dedicated to reporting bird sightings or any of several twitter feeds or tags. Rarities often show in migration and some have been known to stick around and be seen very well. Some smaller parks that are surrounded by the asphalt jungle can be amazingly good at times, especially Bryant Park in midtown Manhattan. You can easily cover all of Bryant Park in an hour or you can wait for someone else to do it and then head on over once something good has been found! In autumn most of these strategies still work well but one can also add coastal sites, especially ones in Queens, and even more especially after nights of northwest winds. Birds that find themselves offshore after a night’s migration will often fight the wind to get back to land and will take shelter on the first terra firma that they see. They are often exhausted and focused on foraging, which allows for close approach and good pictures. Just remember that the birds come first and don’t stress them or cause them to burn energy escaping from you. Migration is a difficult business and the difference between success and failure can be slim. One other really cool way to watch wood-warblers in New York City is at night from the top of the Empire State Building. You will only get quick glimpses as they make their way past through the bright lights but it is a rare glimpse into the migration sensation and apparently well worth the pricey entry fee. I’ve never done it but hope to soon! The main thing to remember about looking for wood-warblers in New York City is that any habitat, no matter how marginal, can host birds during big migration events. Checking tiny local patches can be as rewarding as birding the big and justifiably famous parks. Just don’t don’t let the glamor of wood-warblers prevent you from remembering that New York City is one of the cultural capitals of the world and worth visiting for reasons other than birds. Shocking, I know, but true! You make a pretty strong case. Dang you for perpetuating my warbler envy! An additional advantage New York has is that most of the major warbler hotspots have a subway line going right to them. @john: … and that your non-birding wife won’t mind going her own way for days so long as you give her your credit card. Which, come to think of it, might not be such an advantage after all. 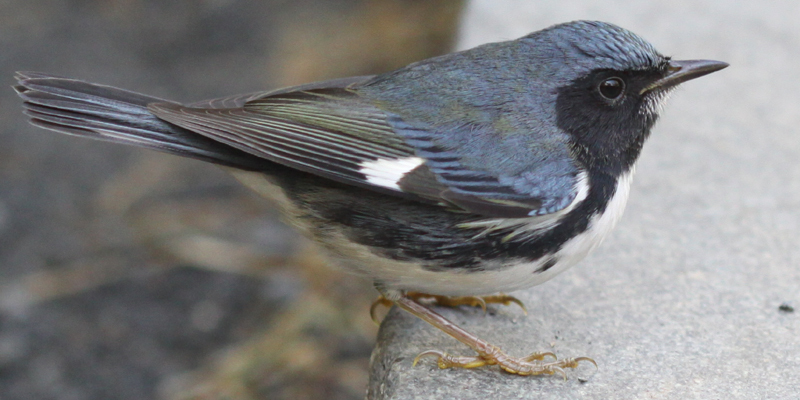 One of the only things I regret about moving out here to Chicago is that I missed the May 1 multigroup bird blitz on Central Park. I’m sure it was warbler paradise. Meredith, did I tell you about the time I walked into the Magic Hedge (I was a newbie, and didn’t know the protocol) and stood face-to-face with a Mourning Warbler? Yeah, NYC has many warbler hotspots, but you never know what you’re going to find at Montrose Point. 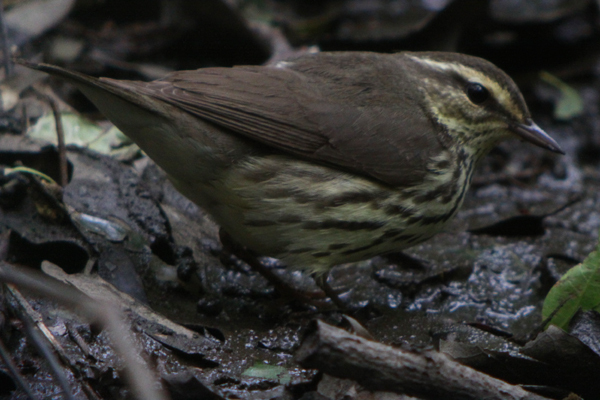 And Corey, thanks for the Northern Waterthrush! Very nice. 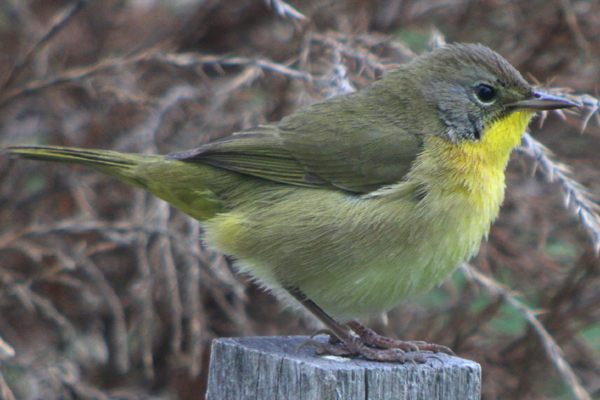 But can it beat the wood-warbler bounty provided by San Francisco? @Duncan: we’ll see, ey? I am rather confident that we will see. 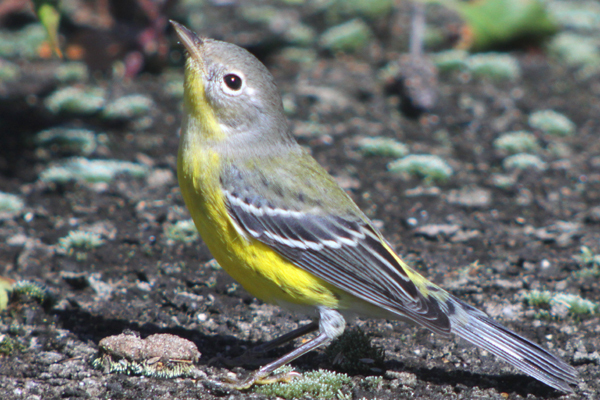 I wish I were in NYC to get a slice of pizza and hang out with those wood-warblers! I was pleasantly surprised to see breeding plumaged Chestnut-sided and Blackburnian Warblers in Costa Rica yesterday (tale end of migration here) but warbler watching here is nothing like the Parulid extravaganza during mid-May in the northeast.